The opinion and experiences of Dutch orthopedic surgeons and radiologists about diagnostic musculoskeletal ultrasound imaging in primary care: A survey. Scholten-Peeters GG, Franken N, Beumer A, Verhagen AP. Man Ther. 2014 Apr;19(2):109-13. doi: 10.1016/j.math.2013.08.003. Epub 2013 Sep 3. 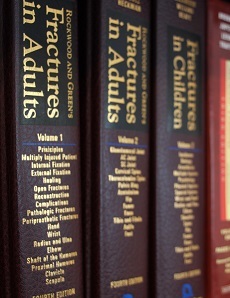 Early prognostic factors in distal radius fractures in a younger than osteoporotic age group: a multivariate analysis of trauma radiographs. Beumer A, Adlercreutz C, Lindau TR. BMC Musculoskelet Disord. 2013 May 22;14:170. doi: 10.1186/1471-2474-14-170. Current management and prognostic factors in physiotherapy practice for patients with shoulder pain: design of a prospective cohort study. Karel YH, Scholten-Peeters WG, Thoomes-de Graaf M, Duijn E, Ottenheijm RP, van den Borne MP, Koes BW, Verhagen AP; ShoCoDiP (Shoulder Complaints and using Diagnostic ultrasound in Physiotherapy practice) study group, Dinant GJ, Tetteroo E, Beumer A, van Broekhoven JB, Heijmans M.
BMC Musculoskelet Disord. 2013 Feb 11;14:62. doi: 10.1186/1471-2474-14-62. Sportletsels van de hand en pols, een overzicht. Nederlands Tijdschrift voor Handtherapie. Jaargang 22 - No. 1 - April 2013. Tennisletsels van hand, pols en elleboog. Mallet thumb: Report of a case. Aerts BRJ, Somford MP, Beumer A.
OA Case Reports 2013 Dec 24;2(16):156. Total shoulder arthroplasty versus hemiarthroplasty for glenohumeral arthritis: A systematic review of the literature at long-term follow-up. van den Bekerom MP, Geervliet PC, Somford MP, van den Borne MP, Boer R.
Int J Shoulder Surg. 2013 Jul;7(3):110-5. doi: 10.4103/0973-6042.118915. Author's reply to den Hartog. Spaans AJ, van den Hout JA, Bolder SB. Outcome after osteosynthesis of hip fractures in nonagenarians. Clin Interv Aging. 2014;9:41-9. doi: 10.2147/CIA.S52083. Epub 2013 Dec 18.
de Leur K, Vroemen JP, Vos DI, Elmans L, van der Laan L.
Elbow-specific clinical rating systems: extent of established validity, reliability, and responsiveness. The B, Reininga IH, El Moumni M, Eygendaal D.
J Shoulder Elbow Surg 2013 Oct;22(10):1380-94. doi: 10.1016/j.jse.2013.04.013. Epub 2013 Jun 20. Stability of the unlinked Latitude total elbow prosthesis: a biomechanical in vitro analysis. Wagener ML, De Vos MJ, Hendriks JC, Eygendaal D, Verdonschot N.
Linking of total elbow prosthesis during surgery; a biomechanical analysis. De Vos MJ, Wagener ML, Hendriks JC, Eygendaal D, Verdonschot N.
J Shoulder Elbow Surg. 2013 May 7(13) 135-3. Biomechanical evaluation of three different fixation methods of the Chevron osteotomy of the olecranon: An analysis with Roentgen Stereophotogrammatic Analysis. Wagener ML, Driesprong M, Heesterbeek PJ, Verdonschot N, Eygendaal D.
Clin Biomech (Bristol, Avon). 2013 Aug;28(7):752-6. doi: 10.1016/j.clinbiomech.2013.06.011. Epub 2013 Jul 8. Trends in incidence and costs of injuries to the shoulder, arm and wrist in The Netherlands between 1986 and 2008. BMC Public Health; 06/2013; 13(1):531. J Hand Surgery 2013 Jul;38(7):1377-82. Ulnar collateral ligament injury; invited review. Shoulder and Elbow: 2013 vol 5, issue 2, 111-115. Best approach for the repair of distal biceps tendon ruptures. World J Orthop 2013 April 18; 4(2): 98-99. Arthroscopic elbow surgery, is it safe? J Shoulder Elbow Surg. 2013 (22), 647-652. Guitton TG, Ring D, Eygendaal D .Science of Variation Group. Clin Orthop Relat Res. 2013 Apr;471(4):1373-8. Reconstruction of distal biceps tendon ruptures with a cortical button. Knee Surg Sports Traumatol Arthrosc; 2013. Surgical treatment of post-traumatic elbow stiffness: a systematic review. J Shoulder Elbow Surg. 2013 Apr;22(4):574-80. Early experience with the Vanguard complete total knee system: 2-7 years of follow-up and risk factors for revision. Kievit AJ, Schafroth MU, Blankevoort L, Sierevelt IN, van Dijk CN, van Geenen RC. J Arthroplasty. 2014 Feb;29(2):348-54. doi: 10.1016/j.arth.2013.05.018. Epub 2013 Jun 15. Lipoma arborescens: an unusual cause of swelling of the knee: a case report. Spaans AJ, Wagenmakers R, Turkenburg J.